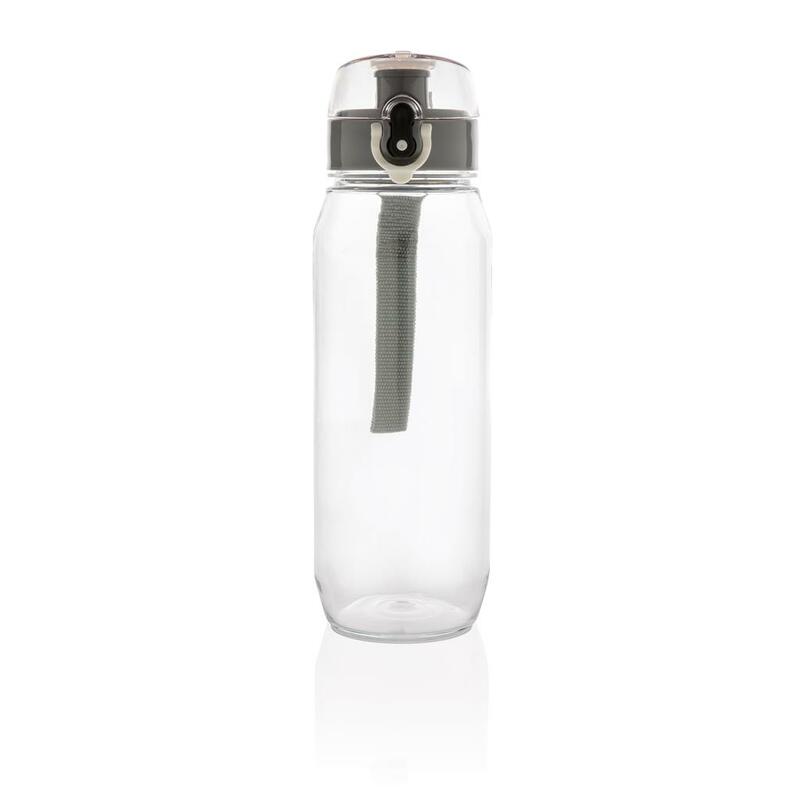 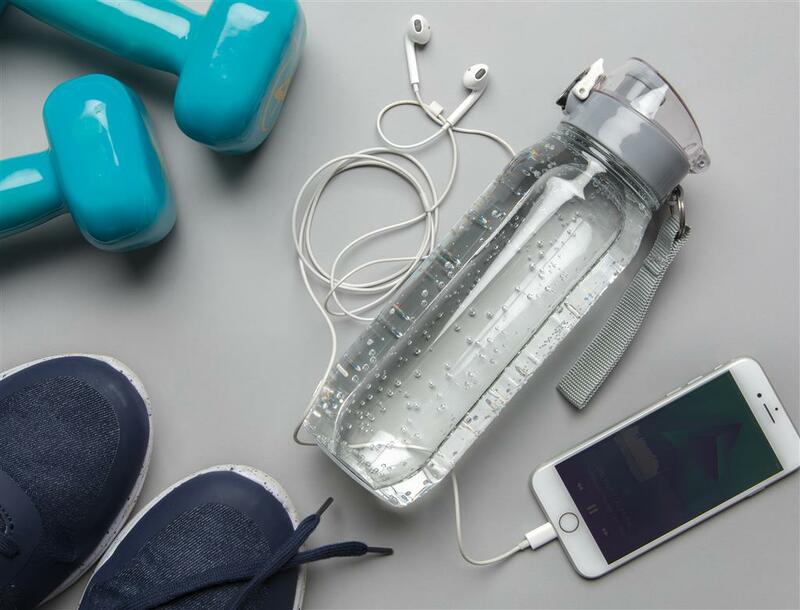 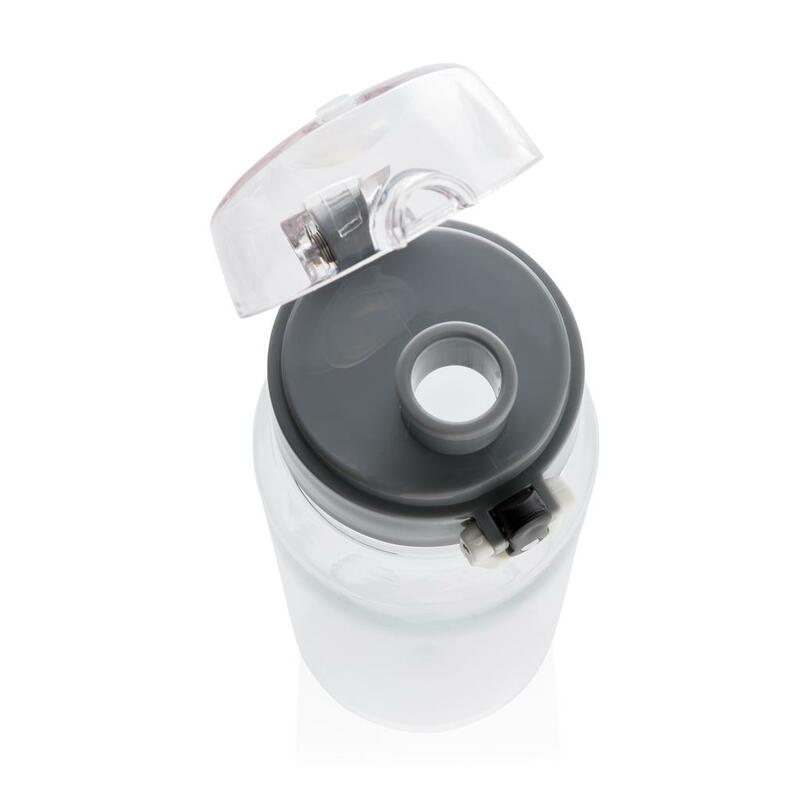 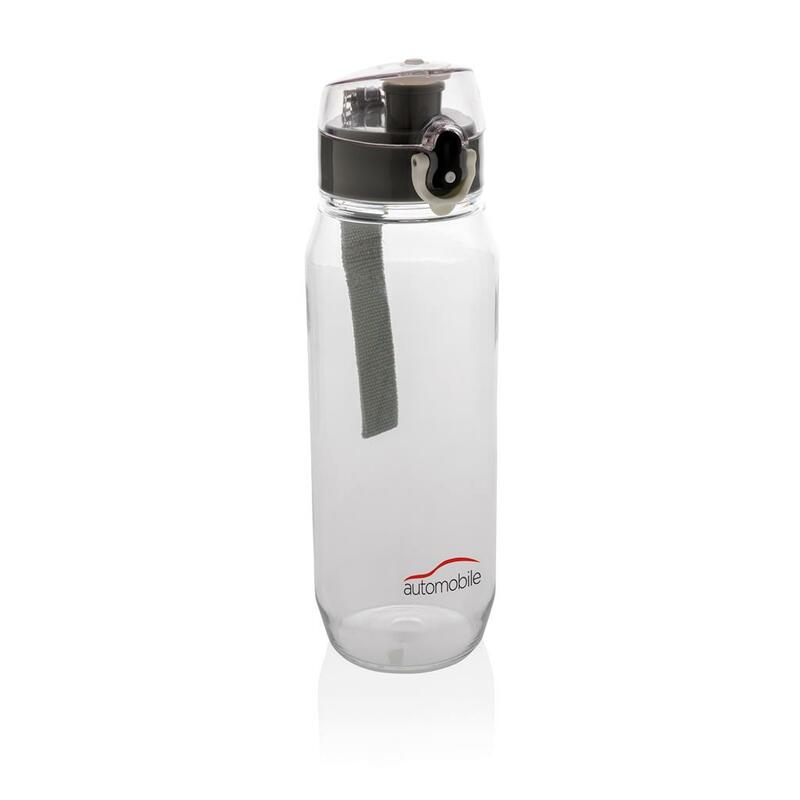 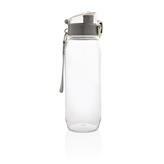 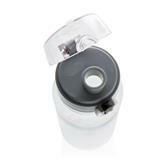 Leak proof tritan bottle with lockable cap and single hand 'press open' function. Including carrying strap. 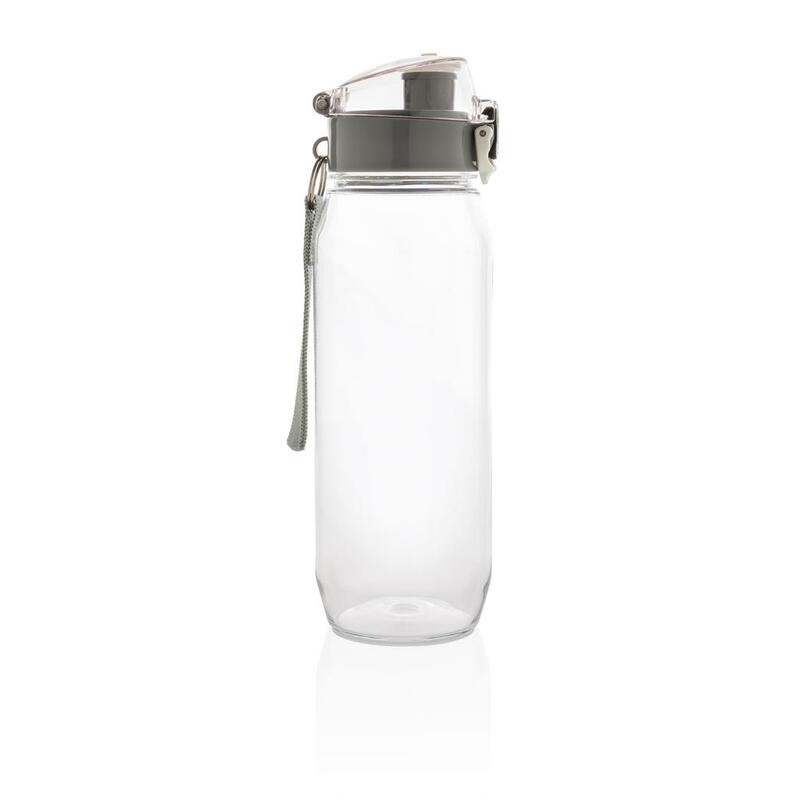 Odourless and 100% BPA-free. Content: 800ml.